The day before a project hand in at university tends to be rather stressful but when I found myself on Google I stopped, smiled and had a bit of a procrastinate. 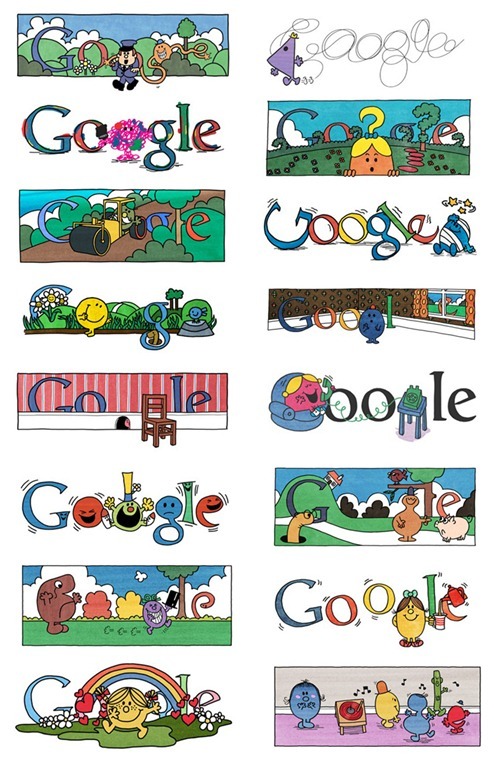 To celebrate important events and dates Google often changes its header picture for a day and on this day (9th May) it would have been the 76th birthday of Charles Roger Hargreaves who died in 1988. The English Author wrote and illustrated the Mr. Men and Little Miss series so this little gesture by Google is a fitting tribute to his work. The books have sold over 85 million copies worldwide, I had many of them myself as a child so happening upon these creations was a real treat. If you didn’t catch them yourself here is the full set of 16 drawings that appeared on the website.